Cyprus or Malta: which has the better EU citizenship programme? In recent years opportunities have become available for high net worth individuals from outside of the European Union to become EU citizens, through the introduction of various citizenship programmes. These are not an entirely new idea – Nevis introduced the original citizenship investment programme over 30 years ago. More recently, however, numerous EU nations are offering attractive citizenship packages and incentives in return for financial investment into the relevant jurisdiction. In summary, these citizenship schemes seek to attract foreign direct investment into the country’s economy in exchange for the right to work, live, and study in all EU member states. There are two primary citizenship schemes which have been officially approved by the European Union, one in Malta (the Individual Investor Programme “IIP”) and the other Cyprus (the Cypriot Citizenship Programme “CCP”). Both schemes have been extremely successful with hundreds of applicants having completed the procedures and processes. Successful candidates for both the IIP and CCP will be granted citizenship by a Certificate of Naturalisation, which can also be extended to include their families. Once a candidate is awarded citizenship, which includes EU citizenship, they have the right of establishment in all EU countries. This provides an individual and their family members the opportunity to live, work, and study in any of the member countries of the European Union. Successful individuals also have the ability to set up businesses in Cyprus and Malta, and can get a Cypriot or Maltese passport enabling them to enjoy visa-free travel to more than 166 countries across the world including the USA, Canada, Middle East, Africa, Asia, and most countries in North, Central, and South America. Once obtained the citizenship is hereditary, and may be passed down to any future generations. Following the success of the IIP and CCP and in light of the broad similarities between the two schemes one of the most common questions we often come across is “Which is the best EU citizenship scheme?” Lets start by looking at the basic eligibility and cost information. Are 18 years of age or older (although they may have younger dependents). Have been resident in Malta for the previous 12 months. Lease a property for a period of 5 years at a minimum annual rent of €16,000, or purchase property in Malta at the minimum value of €350,000, to be held for at least 5 year. Make a contribution to the National Development and Social Fund of €650.000 for an adult, €25,000 for spouse or minor child, €50,000 for each dependant aged between 18-26 and dependants over the age of 55. Invest a minimum of €150,000 into Government approved financial instruments for a minimum of 5 years. Have global health insurance coverage for at least €50,000 for the main applicant. Aged 18 years of age or older (although they may have younger dependents). Have purchased real estate in Cyprus, the value of which must be at least €500,000 and be declared as the applicant’s main residence. In April 2013 changes were made to the citizenship programme to include the introduction of the Major Collective Investment route (MCI) which reduces the minimum investment from €5 million to €2.5 million when several applications jointly apply and invest into a collective investment scheme. It should be noted that the scheme must have the total value of €12.5 million and applicants must always maintain the €500,000 Cypriot real estate. Taking a look at the above listed criteria it is clear that there are some areas which differ and will be preferable to some applicants dependent upon their personal circumstances and preferences. Firstly, the requirement to purchase local real estate differs for both schemes. Cyprus requires real estate to be purchased with a minimum value of €500,000 which the applicant must declare as their main residence. In contrast, the Malta IIP scheme permits applicants to have lived or be living in Malta for the period of 12 months and either have purchased a home at the minimum value of €350,000 or alternatively have a 5 year rental period at the sum of €16,000 per annum. This is a significant element of the criteria, with both schemes advising that without satisfying this an individual’s application will be turned down. As such, it will be dependent on the applicant’s circumstances and the practicalities of residing in Malta for a period of 12 months. If this is practical then the lower cost threshold is advantageous, however, in comparison there is no requirement to reside in Cyprus. Further to the above requirements it seems that Cyprus requires the individual to always maintain the purchased property, whereas in Malta it can be sold after 5 years. Also after the lapse of the obligatory 5 year period, property in Malta may be sold completely exempt from tax if such property is held for a period of 3 years as the resident’s sole and ordinary residence. The requirement for the 12 months residency would not mean an individual must stay in Malta for 12 months. They are required to spend a minimum of 183 days in Malta (not consecutive) to fulfil the requirement of the 12 month residency. There are further comparisons such as the cost of the overall investment with Malta requiring the sum of €650,000 to be contributed to the local economy, which is significantly lower than the €2.5 million required under the CCP, and although both schemes offer successful applicants the right to travel, reside, and work freely in all of the EU member states, Malta is also a member of the Schengen area, making European travel easier. This may therefore be advantageous for those applicants who wish to use the citizenship for work and trade purposes. Additionally, some applicants are primarily focused on ensuring that the procedures and process is entirely reputable and respected. Despite both schemes being approved by the EU, the Malta IIP has the most respected reputation as it was the first citizenship by investment scheme to be recognised by the European Union and the executive body of the EU has formally acknowledged the legality of the process and procedures. The programme and the Malta Government itself are committed to undertaking the highest standard of due diligence and vetting of each applicant to ensure that only persons of impeccable standing and reputation are successful in being awarded citizenship. Moreover, Malta has historically enjoyed a stable political and economic state. Malta has survived the financial crisis unscathed and is one of only two states in the European Union which has maintained its economic growth throughout the recent financial crisis. Malta’s banks have also been ranked highly as being some of the soundest banks in the world. In stark contrast it has been argued that the Cyprus government initially introduced the CCP in order to attract external investment into the country to prevent further economic crisis. For taxation purposes, both Malta and Cyprus have similar legislation. Taxation under the Maltese and Cypriot tax system is based on domicile and residence and not citizenship. In light of this, should a non-domiciliary individual obtain citizenship in either jurisdiction, this would not in itself cause the beneficiary to acquire a new domicile of choice there. Residence for tax purposes is established by demonstrating an intention to reside indefinitely and definitely on the basis of a day count of 183 days. Tax residents of Malta who are not domiciled in Malta are taxable on a remittance basis. Accordingly, individuals who are non-domiciled and not resident in Malta are not taxable on foreign source income not received in Malta, nor are they taxable on any capital gains arising outside Malta whether remitted or not. Tax is due only on income and capital gains arising in Malta. In light of the above, Malta is arguably the most advantageous and practical scheme for an individual to obtain citizenship by investment. With its lower threshold of investment Malta continues to be the leader of the EU citizenship schemes where high net worth individuals and their families are able to seek a better way of life. If you would like to know more about the Malta Individual Investor Programme, take a look at our free sixteen page report, The Complete Guide to Gaining EU Citizenship Through Malta. Ann joined the team at our Malta office in April 2013. 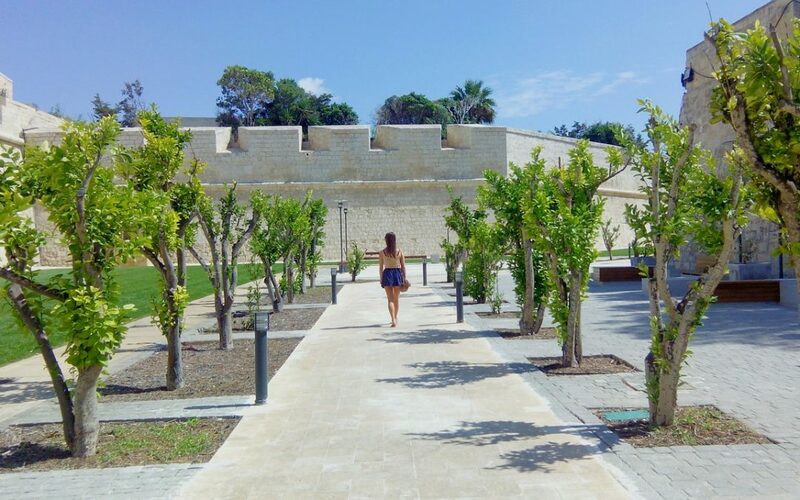 As a member of the business development team, she has a particular specialism in the Immigration and Yachting industries, both of which are major growth areas for Malta as a jurisdiction.